:Beginning theology students often find themselves bewildered by a maze of beliefs represented in Christian history and tradition. Don Thorsen's An Exploration of Christian Theology unravels the knots of theology by exploring the whole Christian tradition in a simple and straightforward way. 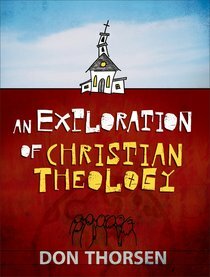 About "An Exploration of Christian Theology"
Don Thorsen (Ph.D., Drew University) is Professor of Theology in the Haggard School of Theology at Azusa Pacific University. He holds degrees from Stanford University, Asbury Theological Seminary, Princeton Theological Seminary, and Drew University.